“I wasn’t on social media but whenever I went out babies were everywhere,” says Keeley from Norfolk, “I found it very difficult. I would go to work and then go home and hide. My home was my haven. I would make excuses not to meet up with my friends and I just retreated in to myself and ended up being on antidepressants for a while”. Although Keeley had suspected that she might have difficulties getting pregnant, she and husband Steven tried for four years before seeking help. Keeley is speaking ahead of Fertility Awareness Week, (October 29 to November 4) to encourage others to get advice earlier. “As a teenager my periods were so heavy that I would be physically sick,” she explains. “It got so bad when I was doing my GCSEs that my GP put me on a pill until after my exams. It took my mum, who also had heavy periods, a long time to get pregnant with me and she never got pregnant again”. After delaying seeking medical advice Keeley and Steven were finally spurred on to make the first approach to their GP when their friends all started having children. The couple were referred to their local hospital and tests were carried out to try and identify why they were not conceiving. But fortunately, they were told that they were eligible for NHS-funded fertility treatment. 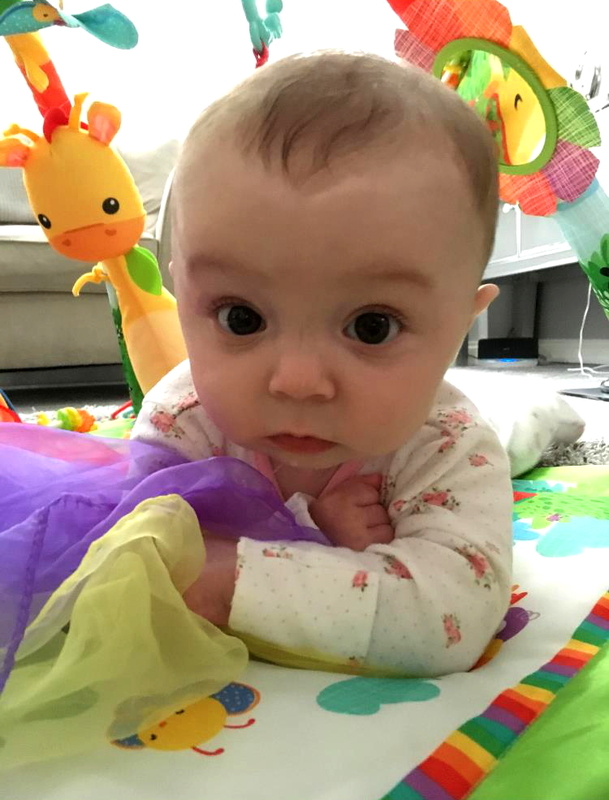 “We felt so much better when we were referred for IVF,” says Keeley. Keeley and Steven were treated at Bourn Hall Clinic in Wymondham, near Norwich, and Keeley fell pregnant at the second attempt. They had IVF using a process called Intracytoplasmic Sperm Injection (ICSI) which involves individually injecting a sperm in to each of a woman’s harvested eggs in the laboratory before embryo transfer. Emmy was born on 20 April this year with both Keeley’s mum and Steven in attendance at the birth. “Becoming a mum has completed me,” smiles Keeley hugging her six-month-old daughter. 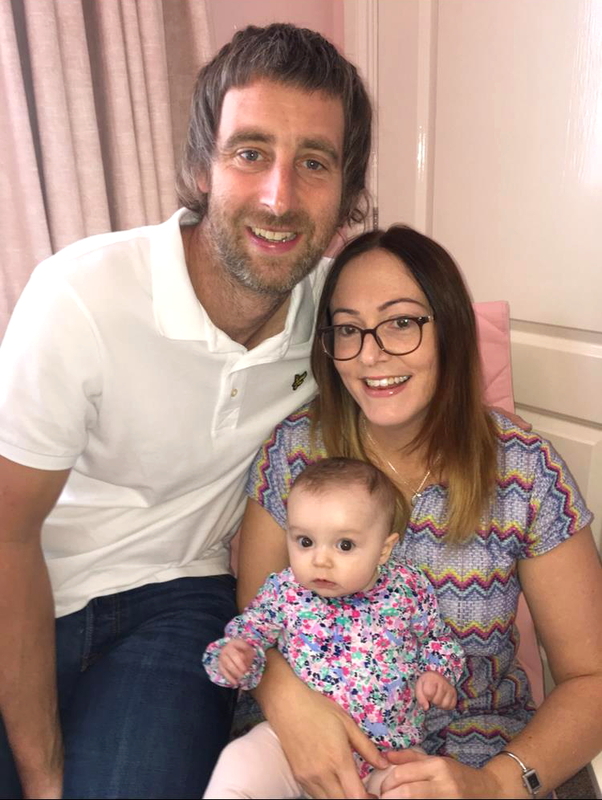 Keeley, aged 34, is currently on maternity leave from her job as a buyer for a fire protection products manufacturer and she and Steven, a joiner, relish the free time they have together with Emmy. “We love making the most of weekends and doing things as a little family,” she says. “Emmy is so amazing and makes us laugh with her smiling and chatting. She has given us a new lease of life. “I would advise anyone struggling to conceive not to be embarrassed and to seek help sooner rather than later. It might be that some simple lifestyle changes could help you to conceive naturally and if it turns out that you need fertility treatment the younger you are the better. See more about the Bourn Hall Fertility Fayre on the event page here. Access Fertility will be on hand to discuss its finance packages – find out more here.